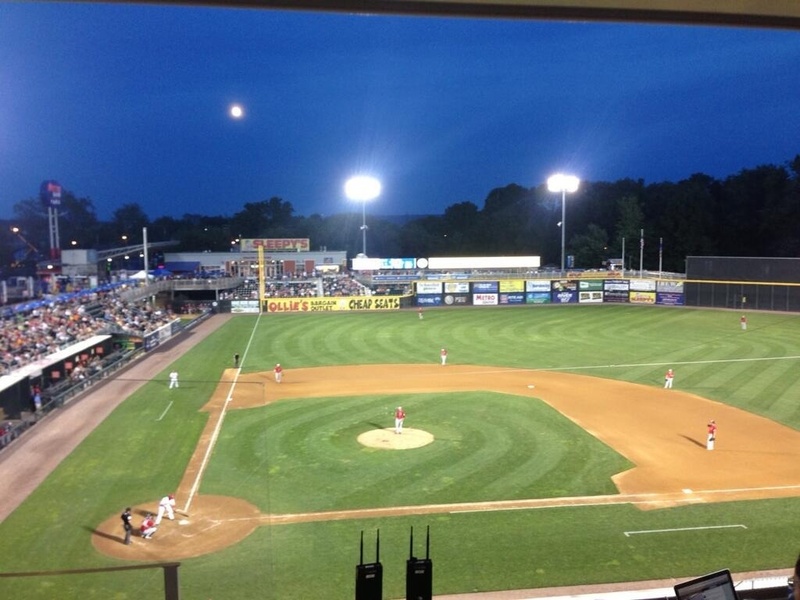 After being stymied by Senators starter Blake Treinen for seven innings, the New Hampshire Fisher Cats jumped on the bullpen for four runs as they took the middle contest of the three-game series 4-1. The Senators lone run of the game came in the first inning when Steven Souza connected on an opposite field home run. * Saturday night’s game was only the second the Senators have lost all season when entering the seventh inning with a lead. * Erie blew a 5-1 lead in the 9th inning and eventually lost to the B-Mets in extras thus preserving the Senators one-game lead in first place. This entry was posted in Uncategorized and tagged Aaron Barrett, Blake Treinen, Harrisburg Senators, Matt Swynenberg, Paul Menhart, Ryan Perry, Steven Souza. Bookmark the permalink.